Tonight: Flash Gordon on Innovation Plaza! Join us tonight, at 8 PM, on Innovation Plaza for Sci-Fi at Sunset as we watch Flash Gordon in partnership with International House of Philadelphia! This will be an outdoor screening so bring a seat. This campy, colorful feature film adaptation of the comic book Flash Gordon made its way from directors Federico Fellini, Nicolas Roeg and Sergio Leone until finally landing in the hands of Mike Hodges. Ingmar Bergman regular Max Von Sydow plays Ming the Merciless alongside a cast that includes Timothy Dalton, Brian Blessed and Topol. When Ming decides to entertain himself by destroying planet Earth, Flash, Dale Arden and Dr. Hans Zarkov confront him in a battle that ultimately unites all of Ming’s enemies. 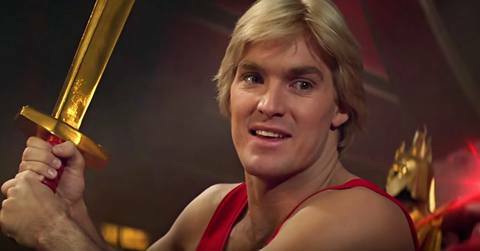 While George Lucas’ Star Wars may have made a more lasting cultural impact, Flash Gordon remains a thrilling, epic sci-fi tale that never takes itself too seriously. Bonus: a soundtrack by the rock group Queen. Copyright © 2018 University Lutheran Church, All rights reserved.